The pork box is ideal for individuals with more limited freezer storage. You will get a taste of our favorite pork cuts. Pork boxes are available for pick up or delivery. All cuts will be frozen and vacuum sealed. 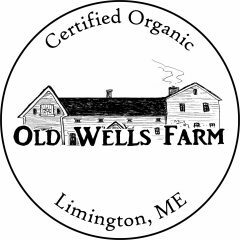 Free pickup at farm in Limington. $15 delivery fee for Gorham/Portland area. For a more customized experience consider purchasing a half or whole animal. How are the pigs raised? The pigs are rotated throughout forest and pasture, foraging greens, grubs, dropped fruit, acorns and more along the way.They do vital work for the farm – clearing land and tilling soil that will grow produce and flowers in the future. Along with forage, the pigs are fed a GMO Free Certified Organic grain from Green Mountain Feeds in Vermont. We do not use any antibiotics or growth hormones.